We already know how gallantly you fight the monsters, Azurian. But what about your performance against other players? You can attack any player in unsafe zones. Sometimes, though, you have to pay the price for your aggressive whims and you may want to learn how to get rid of your sin points. The shield icon on the upper left hand corner of the screen shows you the game mode you are playing in. There are 4 types of game modes. Peace Mode: You cannot attack other players in this mode. Massacre Mode (Ctrl+H): You can attack any player in any mode. Team Mode: You can attack players from other dynasties. Dynasty Mode: You can attack players from other dynasties and players in free mode. During Massacre Mode, you receive sin points for killing players in Peace Mode. 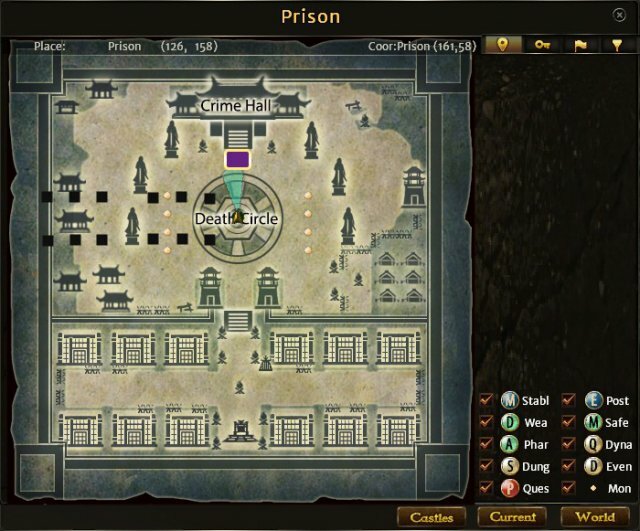 If you get killed when you have accumulated sin points, you re-spawn in prison. 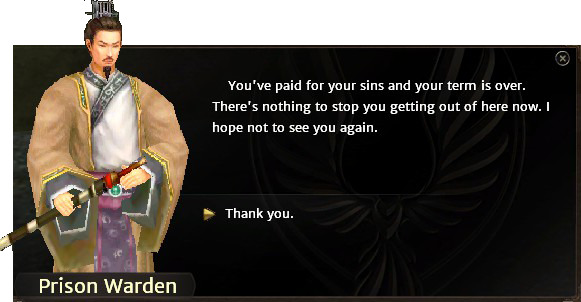 If your sin points exceed the limit, you can even lose some of your items in your bag as well as causing some others to get cursed. Here you can learn how to remove curse from your items. In order to get out of prison, you must get out of your cell first by talking to the guardian standing in front of your cell. The guardian could ask you a riddle, offer a round of gamble, ask you to find an item in your cell, or ask for your Contrition Manifesto to get you out of your cell (you must have the document in the quest section of your bag). 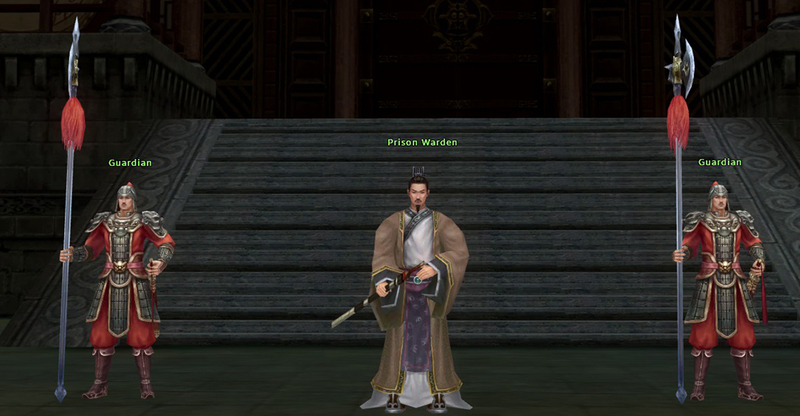 After passing the guardian’s test and getting out of your cell, you must now visit the Prison Warden in front of the Crime Hall. 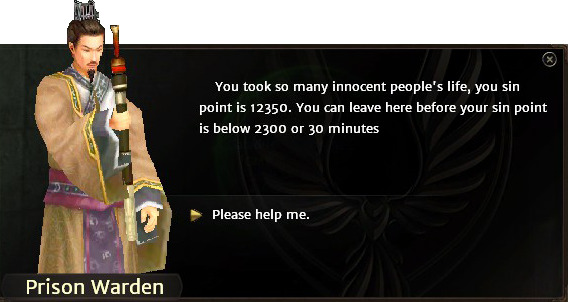 Prison Warden will tell you how many sin points you have and what you must do to be released. 1. 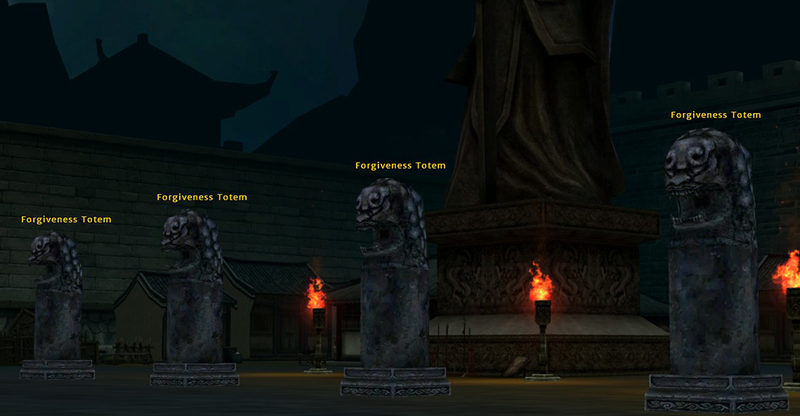 Forgiveness Totems around the Chamber of Death. Destroying each of these totems reduces your sin points by 500. You must keep attacking the totems until your name turns from red to white again. Destroying the totems above level 60 is so difficult, though, and you may need some help here. As it’s possible to enter the prison as a visitor, you can call up your friends to help you destroy higher level totems. 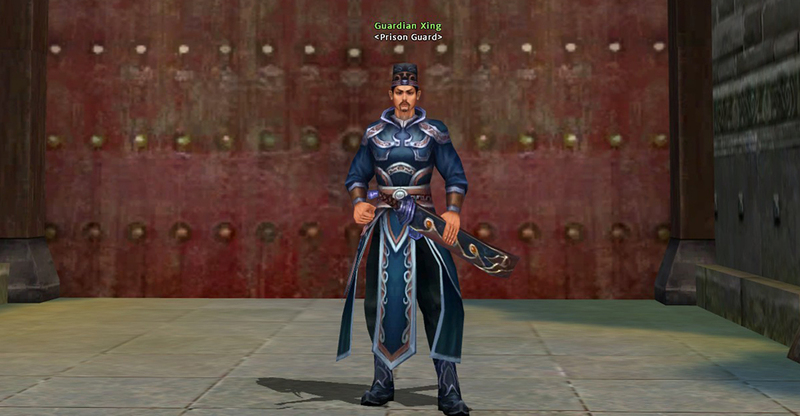 In order for your friends to enter the prison, they must receive admission from Guardian Xing in Zhen Pass for 1 gold. After you destroy the totems with your friends, talk to Prison Warden again to get out of the prison. You can find these pills in the Market (P), potion section. There are 4 levels of these cleansing pills. Cleansing Pill I: Deletes 2500 sin points. Cleansing Pill II: Deletes 5000 sin points. Cleansing Pill III: Deletes 10000 sin points. Cleansing Pill IV: Deletes 20000 sin points.